Obituary for Maurice A. Wendel | Lynch-Green Funeral Home, Inc.
Maurice A. 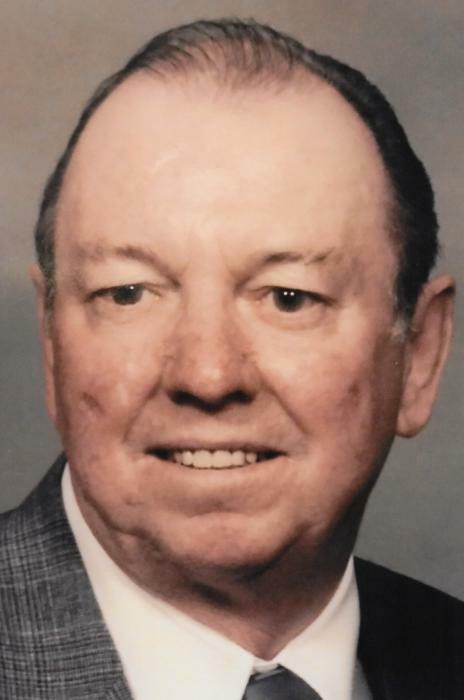 "Skinny" Wendel, 85, of Elk Towers in St. Marys and formerly of Averyville Road and Glen Hazel, died on Wednesday, July 11, 2018 at Penn Highlands Elk following a brief illness. He was born on July 19, 1932, in St. Marys, a son of the late William and Anna Hoffman Wendel. On January 31, 1953 in St. Marys Church, he married Vera J. Herbstritt, who survives and they recently celebrated 65 years of marriage. Skinny was a graduate of Central High School, class of 1950 with his wife, Vera. He was a member of Queen of the World Church, the St. Marys and Benzinger Township Historical Society, and the PFL. He was a carpenter most of his life and at one time was partnered with his brother, Fatty, and together they owned and operated the Wendel Brothers. Sandi Bailey of St. Marys, and Janet Schatz and her husband Charles "Chuck" of St. Marys, by two sons, Wayne Wendel and his wife Mary and Thomas Wendel and his wife Karen, both of Glen Hazel, and by 12 grandchildren and 14 great-grandchildren. He is also survived by a sister, Grace Wendel of St. Marys, as well as by several nieces and nephews. He was preceded in death by his parents and by a brother, Harold "Fatty" Wendel. A Mass of Christian Burial for Maurice A. Wendel will be celebrated on Saturday, July 14, 2018, at 10:00 AM at Queen of the World Church, 134 Queens Road, St. Marys, PA with Rev. Jeffery Noble, Pastor, officiating. Visitation will be at the Lynch-Green Funeral Home on Friday, July 13, 2018 from 5:00 PM until 8:00 PM. In lieu of flowers, Memorial Contributions may be made to Queen of the World Church, the Historical Society, or to the Community Nurses.